You brush your teeth after meals, and you floss every evening before bed, but did you know that you may still be at risk of ruining your teeth? It’s true. 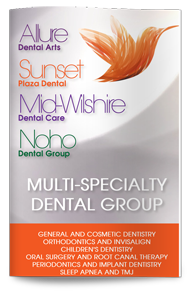 West Hollywood dentist, Poneh Ghasri DDS, encourages her patients to maintain good dental habits at all times in order to maintain a lifetime of good dental health. One of the easiest ways to ruin your teeth is by brushing immediately after eating. Of course, you do need to brush after meals, but if you brush too soon after eating, your saliva doesn’t get a chance to neutralize the acids produced by eating. Those acids soften the enamel on your teeth, which can make them more prone to damage. They can be scratched by even gentle tooth brushing. Wait 30 minutes to one hour after meals to brush your teeth. Another common way to ruin your teeth is by drinking too many sports drinks, soft drinks, coffees, teas and wines. These beverages can be highly acidic, sweet and filled with artificial dyes and natural colors. The combination is especially damaging to teeth. The acid wears away the enamel while the sugar feeds cavity-causing bacteria. Dyes and naturally occurring colors leave teeth stained and discolored. Although teeth whitening procedures can remove the stains, they cannot restore the lost enamel. Finally, skipping checkups can be damaging to teeth. We all get busy, and putting a dental exam on the back burner can be easier than trying to fit it into a busy schedule. However, dental exams and professional cleanings play a fundamental role in your dental health, can help catch dental diseases at their earliest stages and remove plaque and tartar buildup before they have a chance to do serious damage. Contact us today to schedule your appointment with Dr. Ghasri, West Hollywood dental exam, cleaning specialist, or to learn more about your options.